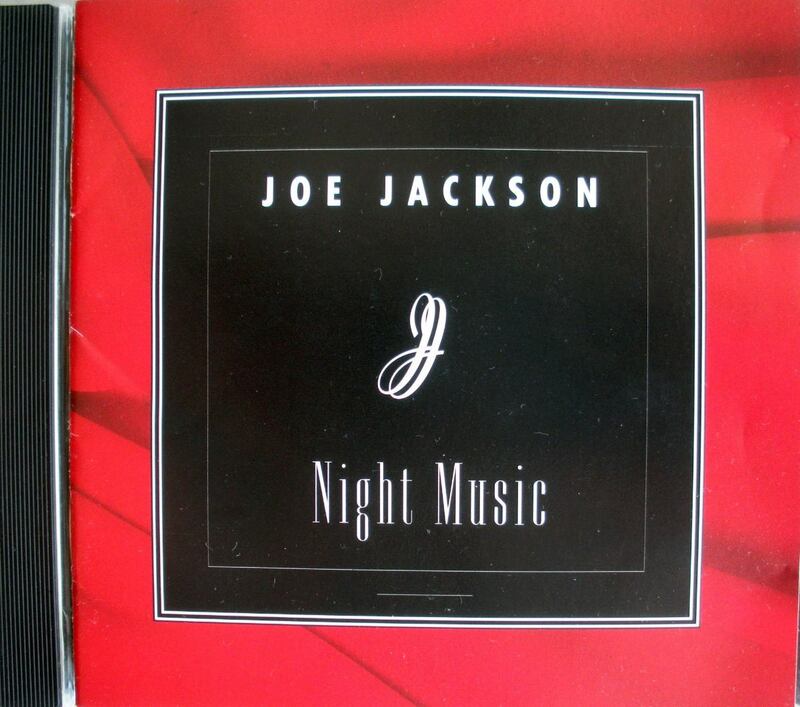 Popdose Flashback 1994: Joe Jackson, "Night Music"
For all the cries of Joe Jackson’s “forsaking” pop, 1994’s “Night Music” says otherwise. In October 1994, musical chameleon Joe Jackson would release what was up to that point his strangest album. That’s saying something, considering the full scope of his musical output. Known for an almost ruthless spirit of musical adventure, Jackson burst on the scene with a canny series of records in punk-pop. Then he segued into big band jazz, jazz rock, film scoring and orchestral pieces. He took some of his biggest hits and rearranged them mercilessly in live settings. In lesser hands these reworkings of “Is She Really Going Out With Him?,” “It’s Different For Girls” and “Steppin’ Out” would have come off as crass and opportunistic at least, and desperate at most. Instead, his slowed-down version of the once jaunty “Steppin’ Out” becomes languid and elegant. “Is She Really Going Out With Him?” becomes an a’capella doo-wop, an Oktoberfest oompah waltz, or a sing-along. Jackson was unafraid of bursting out of his comfort zone. At least that is what the cover letter states. In nearly every setting, he is drawing pop music forms into his tangents and new fascinations. On his second album on Virgin Records, and what would prove to be his last for them, Jackson’s Night Music released in October of 1994 attempted to find compatibility in the highly incompatible worlds of the string quartet and the pop song. It was as far from his previous, the pop-reclaimed Laughter and Lust, as one could go. While often having the classic structure of pop, in verse/chorus/verse format, only the track “Ever After” features standard drumming and percussion, and that doesn’t occur until close to the end of the track. That’s not to say there isn’t syncopation. “Only The Future” has a beat that is driven primarily by Celtic traditional instruments. That ethic is full-blown on the Irish-inflected “The Man Who Wrote Danny Boy” featuring vocals with Clannad’s Máire Brennan. These and the second track “Flying” comprise slightly less than half the record and are calculatedly interspersed in the song list. They are meant as a gateway. The instrumental pieces “Nocturne(s) 1-4” are perhaps the most jarring…maybe not as jarring as when someone picked up Will Power for the first time and found it was an unrepentant orchestral/instrumental collection, but anyone looking for Laughter and Lust II or the previous Blaze of Glory would have to be taken aback. Even as orchestrated pieces, there is a disjointed, experimental quality to the songs, as if Jackson was indulging the past as well as the minimalists from the 50s and 60s at the same time. These lines bring to mind an interview with, of all people, Eurythmics member Annie Lennox. She recalled in an interview going to the music academy with her one-time schoolmate Jackson, how talented he was but painfully introverted, and with a terrible complexion. Songs throughout his career would hit upon the pains of being an outsider, the overlooked one, the one that doesn’t get invited by the hot girl to the parties. He also wrote about the complications of gender and sexual orientation, and the problems of merely navigating a complex emotional world. He did, after all, sing “You can’t get what you want t’il you know what you want.” “Sea of Secrets” suggests that after all this time, as he digs “under the skin of the world,” he had finally started to feel comfortable in his own. It should be mentioned that Jackson wasn’t completely innovating here. Only the year before, Elvis Costello, another musician/frustrated musicologist known for journeyman work in varied genres, released The Juliet Letters backed by The Brodsky Quartet, a chamber ensemble. There is a difference. With Juliet Letters, the Brodsky Quartet seemed much more like they were pulling Costello into their world, where Jackson was using the classical frames for his own purposes. As ornamental and high-falutin’ as Night Music may initially seem, it is still a pop album at heart. Again, one must believe that for all his grousing about being pigeon-holed with Look Sharp! and I’m The Man, a large portion of his heart still resides there. As one could guess, Night Music did horribly. Jackson would resurface on Sony’s classical label with an even more perplexing classical/pop hybrid, this time a song cycle based on the seven deadly sins called Heaven and Hell. It too would find little sympathy from an audience that wanted only a specific sound from him, and at its core, Heaven and Hell is a nastier, angrier animal. The most redeeming quality found on Night Music that was in short supply with what followed was an assurance that, yes, there are monsters in the dark, there is a disconcerting future, doubt, and death, but there is also hope and self-realization and acceptance.